If we were having coffee, then we would probably be having tea. Currently, I am drinking some Pu-ehr. But I would gladly make us some nice Bai Mu Dan (white tea), at the moment this is my favourite. Once you have made the choice of beverage, I also have water or milk, we’d settle down around my living room table for a nice chat. If we were having coffee, then I would ask you how you are doing. So, how are you? 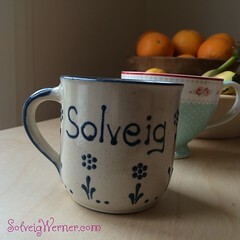 I have been quite absent from the blogosphere in a while, and am glad to catch up at last! Did you write a must read post over the last 2 months that I did not read? Then let me know, and I will try to do the necessary catching up.